Welcome to the wonderful city of Neitiznot. To access to city you need to have started the Fremennik Isles Quest. It is located in the southwest corner of the Fremennik Isles. 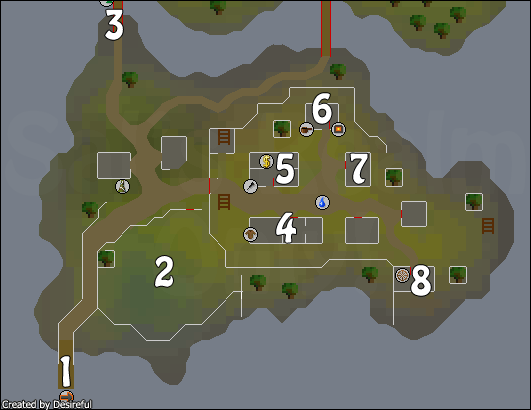 The Isles are located northwest of the Fremennik Province and west of Miscellania. You must go to the north port in Rellekka and ask Maria Gunnars to ferry you to Neitiznot. In this city you can find a furnace, general store, cookery range, spinning wheel and much much more! Welcome! Some places in the city will be labeled with letters as well as numbers. This is because some places in the city are fairly close together but are not related to each other. When you enter the city, you will be on the boarding dock. This is an important place because it is your ticket back to Rellekka. A Yak is level 22 and only has a 100% drop of four items. These items consist of Yak hide, raw Yak meat, hair and bones. They are found in a small field in Nietiznot and are trained on by players because of the relatively high number of Life Points for their Combat level. 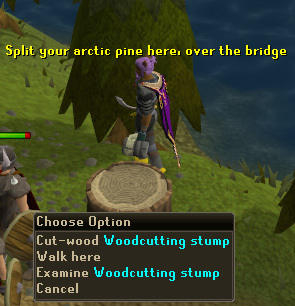 This bridge is something you shouldn't really worry about unless you have finished The Fremennik Isles Quest. I have mentioned this bridge because although I said that Yaks are the only monster in this city, crossing this bridge you can fight trolls what consist of levels above 70+ so it's recommended to have good armour, a good weapon and food before crossing this bridge. 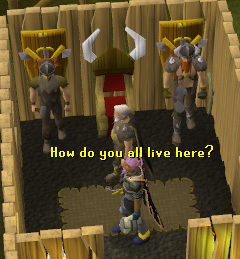 This house is the least of things you should worry about unless you are doing The Fremennik Isles Quest. It's pointed out incase you cannot find Mawnis Burowgar, it's also where you get Yak hides cured for 5 coins each hide. A bank can be located for all needs. It's a chest located on the floor by the general store. It can be handy when cooking, fetching water, smelting and spinning. This shop sells most of the equipment that is used in the quest as well as some other default items. Although this shop is a general store, you cannot buy or sell anything other than its default items. 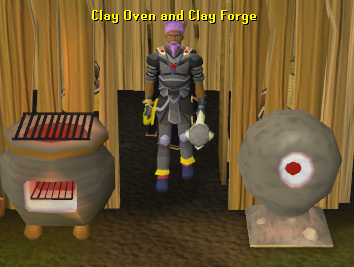 The furnace in town doubles as a pottery oven: You can both craft and smelt ores. 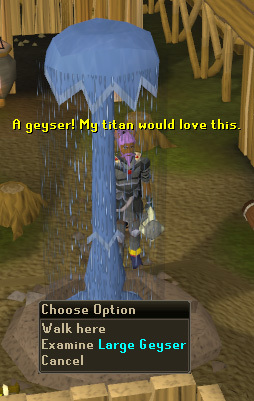 It looks a lot different from any other one you will find in runescape. 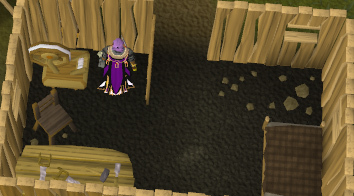 It's also very close to the bank and very empty thus making it a quiet place to smelt your ores. 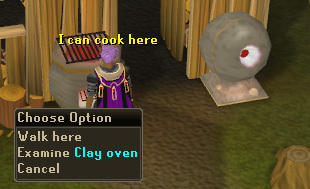 This cooking range also looks different from any other you find around runescape but this still works to cook your food. It's also very close to the bank and hardly anyone uses this range thus making it a quiet place to cook. If you need to re-stock on your water supplies then this city provides a wonderful fountain which will gracefully go up and down while you fill up on your water. If you need to craft your bow strings or make some ropes then yet again this place is at your advantage with a nearby bank and the un-crowded area this will help your trips much easier.